Thank you very much Adrian for the feedback. I was in doubt that the ground based signals (either Frankfurt or other) were still in use after so many satellite based systems put in place in the last years. I’ll have to look at my clock and see why it’s not receiving the signal. I’ll let you know if I manage to get it back to receivng the radio signal. Here is my well travelled SOTA clock. though I think in my case the signal comes from Cumbria in the UK. Adrian, I’m now reading the instruction manual and it sais the DCF77 radio signal is indeed produced in Frankfurt, but for the British versions the signal comes from Rugby. for the British versions the signal comes from Rugby. but it seems not to carry much further than UK. Interesting that there are different models, maybe the coding is a different format, or a different carrier frequency. The UK time signal is still known by many as MSF Rugby. It was transmitted from Rugby in the centre of the UK till 2003 when the Rugby station was closed. Rugby was a VLF site used for sending telegrams about the British Empire in the 20’s onwards and later used for submarine comms. 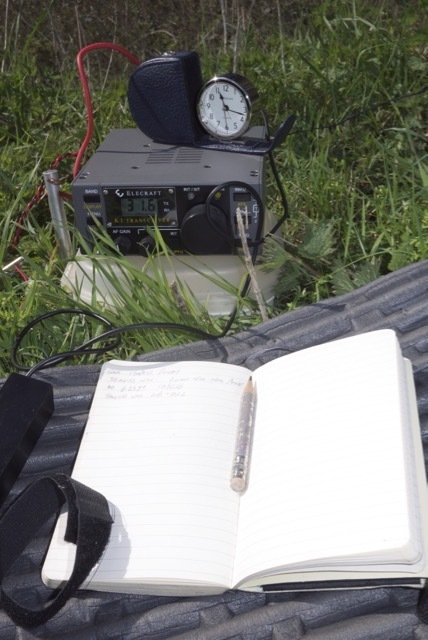 The time signal is now transmitted from Anthorn in Cumbria, which is another VLF site. The reason for maintaining VLF time signals is they are simple to receive and decode unlike GPS which has a high accuracy. The MSF signal has both closely controlled frequency, phase and time information. Unlike HF, it’s entirely ground wave propagated so you don’t get multipath effects. Simple equipment can give an accurate answers and the propagation is effectively the same day in and day out 365/24/7 no matter where you are in the world. The callsign MSF was one of the earliest uses of the UK’s other main prefix letter. When it started in the 50’s, UK stations, commercial and amateur were given callsigns starting with G. Amateurs started receiving M prefix calls in 1996 when the G series was exhausted (callsigns are not recycled in the UK). In the 50’s when the time signal station was being built, the best call would be GSF G for the UK and SF for Standard Frequency but this was already allocated and in use. So the alternate prefix M was used giving MSF for the callsign. DCF77 in Frankfurt on 77.5kHZ is loud here near Edinburgh. MSF on 60kHz was OK when sent from Rugby but is ridiculously loud since it moved to Anthorn. Thanks for the interesting info, Andy. I’m asking one and again the clock to search for the radio controlling signal and it doesn’t get it. Only twice a couple of the radio waves were instantly displayed at the top of the antenna but they disappeared right away. I guess it’s a problem with being too far away from Frankfurt. The manual sais the signal covers 1500 Km and I may be right in the limit or even out of it. I’ll take it with me to the top of a hill one day to see whether the signal can be picked up there. 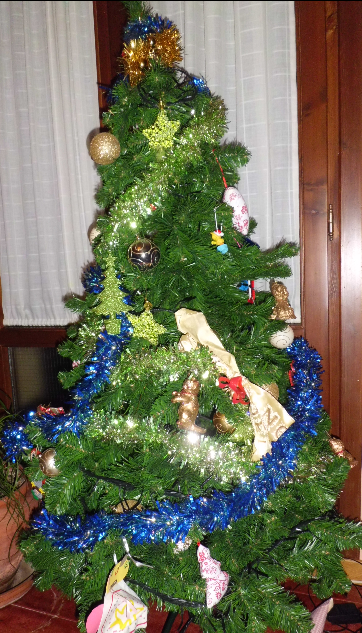 It must be faulty Angel - it shows a temperature of +25 C !!! … But does it tell the time? My watch automatically updates the time, but only in the early hours - not continuously. I’d have to dig out the manual to check the details, I think it’s at about 0100, but I’m rarely up or sober enough (delete as appropriate) to bother watching! My watch automatically updates the time, but only in the early hours - not continuously. 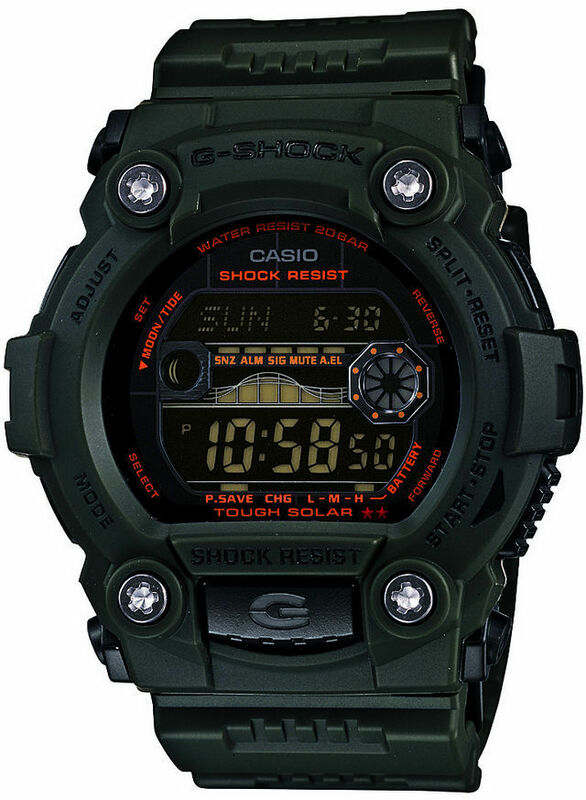 I just bought a watch that tells the time, accurately. I set it at the end of October 2011 when I bought it and now 4yrs later it’s only 23secs fast. I might reset it when it gets a whole minute out, say in April 2022. Who needs radio controlled clocks! Casio altimeter-thermometer watch for me. If you want accurate, K6HPX makes atomic clocks (not cheap). 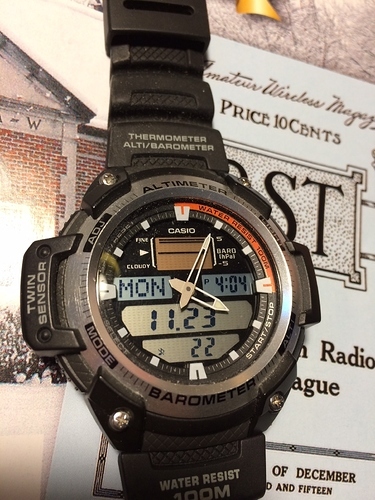 The main activation watch: Casio World Time. With this SOTA watches thread and after having achieved an important milestone at work today, I got home with that typical feel of needing something to make myself feel like getting some reward. It’s my next SOTA watch. A bit too early but my kids have just put the Christmas tree in our living room today. That Vostok is a smart looking watch and easy to see as well. Since it is the only watch I ever wear, I guess it is my SOTA watch. 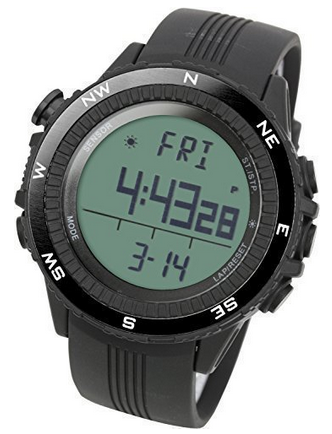 Similar watch Casio pro trek. World time set to UTC. 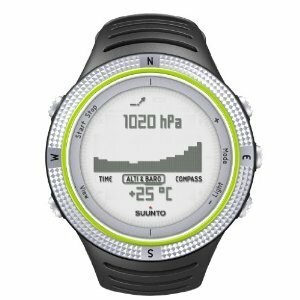 Barometer and altitude, compass. I can’t show mine (mechanical Swiss chronograph) as it’s still being repaired after I drowned it in E5. Oops. 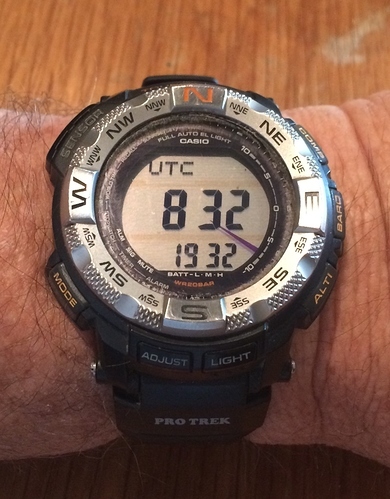 Are the built in compasses good enough for navigation purposes? 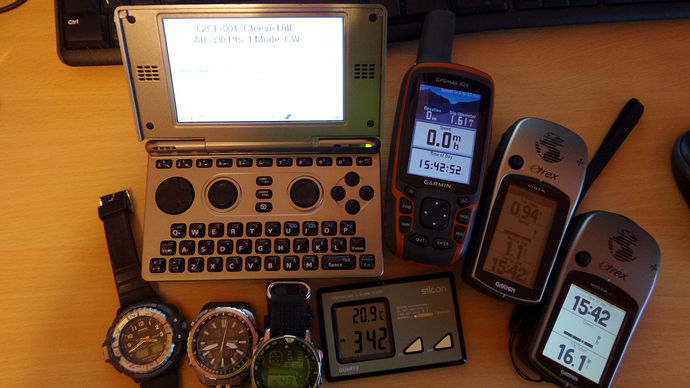 Well, all I can say is that I use a variety of timekeeping devices and will generally have, as a minimum, at least 3 devices but more normally 6 or more with me! Logging nowadays is automatic on my Pandora. The clock is synchronised to an online stndard when I have wifi connectivity. I’ll always have one (usually 2) handheld GPS which of course are synchronised to Caesium standards. I just bought a watch that tells the time, accurately. I set it at the end of October 2011 when I bought it and now 4yrs later it’s only 23secs fast. Then of course there’s the old statement that a watch or clock that is stopped is more accurate than one that loses or gains a second a year - as the stopped watch is 100% accurate, twice a day, where the clock/watch that gains a second a year isn’t ever accurate apart from when it was set to it inital time! Of course unless the watch that is gaining or losing a second a year goes down to ten thousanths of a second, you’re not going to realise that it is inaccurate.